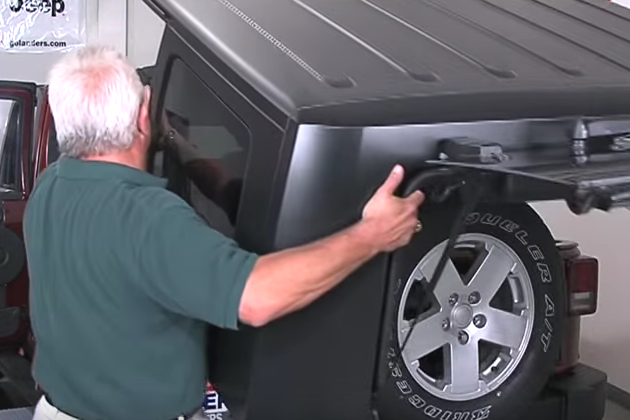 This article will help you possess the freedom to alternate between your soft top and hard top in your Jeep Wrangler JK. 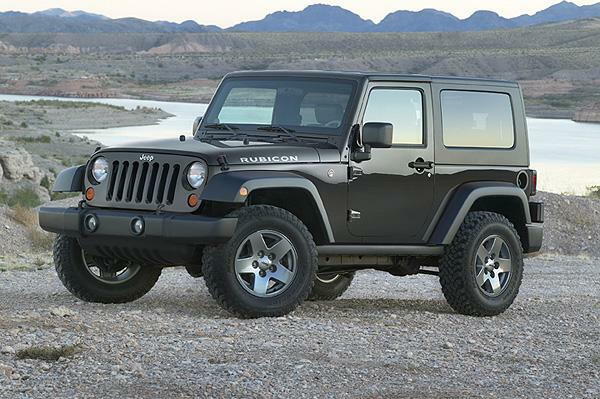 This article applies to the Jeep Wrangler JK (2007-Present). 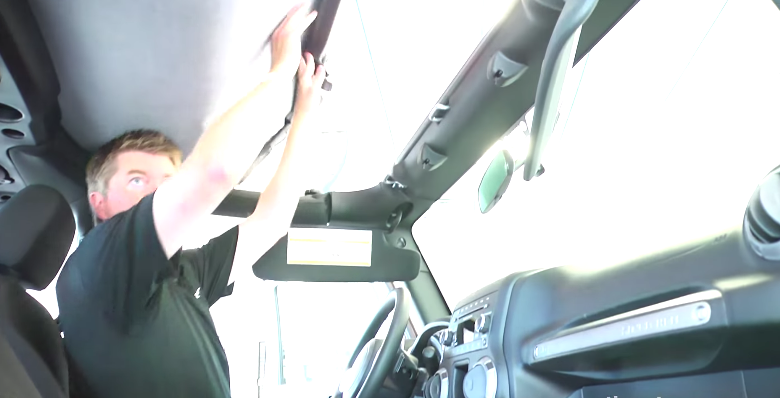 What is the point of having a Jeep Wrangler JK without knowing how to alternate between the soft top and the hard top. The Wrangler comes with either one. If you have a hard top, you most likely have a soft top; however, if you have a soft top, that doesn't necessary mean you have a hard top. 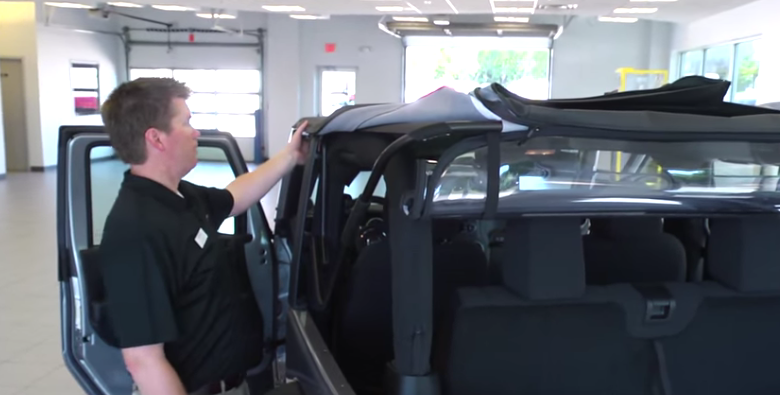 If you have a hard top and you want to remove the soft top to install the hard top, this guide will help you do that. 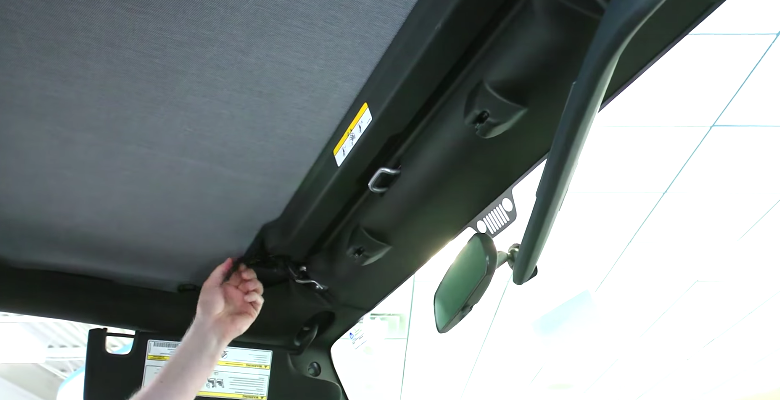 Read on to learn how you can remove the soft top and install the hard top in the Jeep Wrangler JK. Figure 1. Jeep Wrangler JK hard top. Unlatch the roof latches securing the roof in place. There should be one in front of the driver side, one in front of the passenger, and one on each side; you just have to slide them forward. Figure 2. Unlatch front latches. Figure 3. Slide side latch forward. Figure 4. Slide roof back. The rear side windows are secured in place with Velcro and zippers. Just remove the Velcro up and unzip the zippers. When storing the side windows, don't fold them because they will show signs of cracks and folds. For the rear window, unzip the two zippers on each side all the way up, then fold the window up. 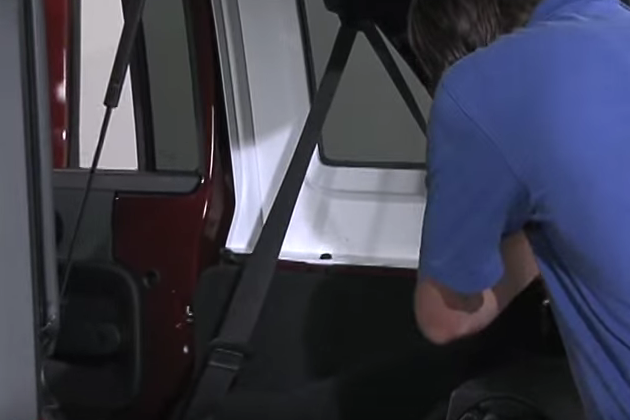 The Jeep comes with straps, so when you fold the window all the way up, you can attach the straps to hold it in place. Figure 5. Remove side windows. 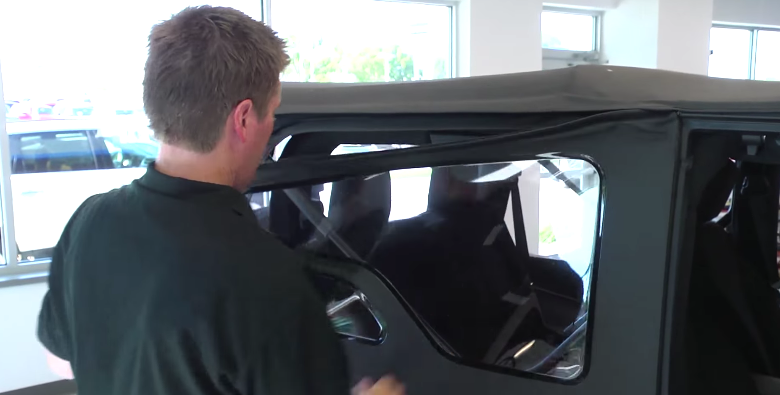 Pull on the side tab on the driver side to release the top, then pull it back. As the top comes down, guide it and fold it in place. Figure 7. Fold the top back. With the help of a friend, align the rear hard top in place. Install the six Torx screws holding it in place; there should be three on each side. Figure 8. Align top in place. Figure 9. Install six screws. Install the two front pieces, starting with the passenger side. The two pieces fit in place easily. The driver side's piece has a lip that goes over the passenger side's piece. Reattach the front latches, the side latches, and finally the center screw that screws in the middle. 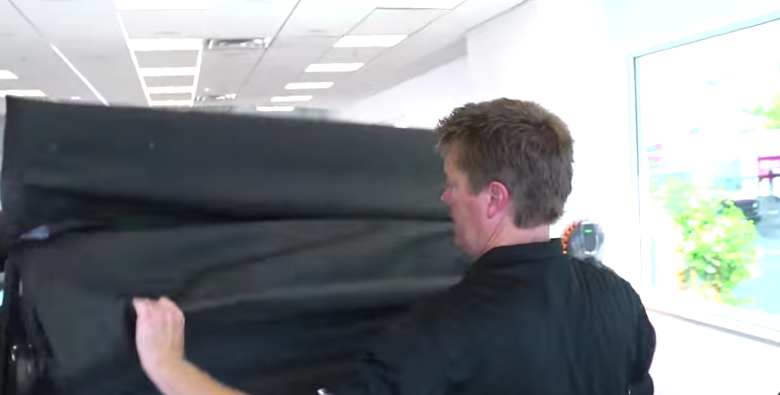 Jeep Wrangler JK: Why is My Top Leaking?